Great helmet, comfy and fits well. Brought a dark visor to go with it, finishes the helmet off brilliantly. Only problem is the chin protection, keeps coming out so have to keep popping it back in. Good price for this helmet. Good helmet and as others said the visor won't get foggy, a must! Vents are good but haven't triied in a real warm weather yet.. Chin pads squizz my chins a little too much to my taste (i see myself makes the fish face with the mouth...). It's very confortable against the wind even sideways at 120km/h.. The ONLY thing i regret on the helmet is the the visor is a clear one with pushes you to put on ur shades or replace it afterwards..
Great service and excellent delivery time. The helmet it self is great. Always had a problem with helmets fogging up but this one with all the vents shut and the visor down is crystal clear. The helmet fits great and looks great. 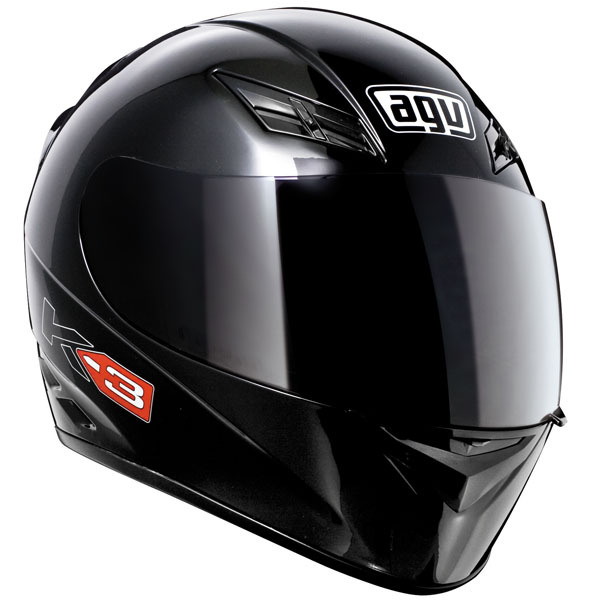 This is my second AGV helmet and I was not disappointed with my purchase. The helmet is comfortable and fits snugly around all of my features, it doesn't squash my cheeks or hurt my ears. I wear MAX lite ear plugs when riding and the wind noise is very minimal. The chin and brow vents help to keep me cool when its warm. The chin vents helps to keep the visor mist-free when it's slightly cooler and my breath steams up the inside of the lid. I do have two slight issues with the helmet though; 1. The chin area has a removable piece of material, which I can assume is there for provide wind protection. It works great from keeping my chin warm, but it doesn't hold in place very well and I often find it slipping out of the helmet and needs put back in place. 2. The fastening is the best idea I've seen on a helmet, it has a ratchet style strap that can be adjusted, but not that easily or quickly, I guess you only need to adjust it once though right, to get the require fit. It is a bit fiddly when taking the helmet off. What's wrong with the Double D ring arrangement? The answer - nothing. 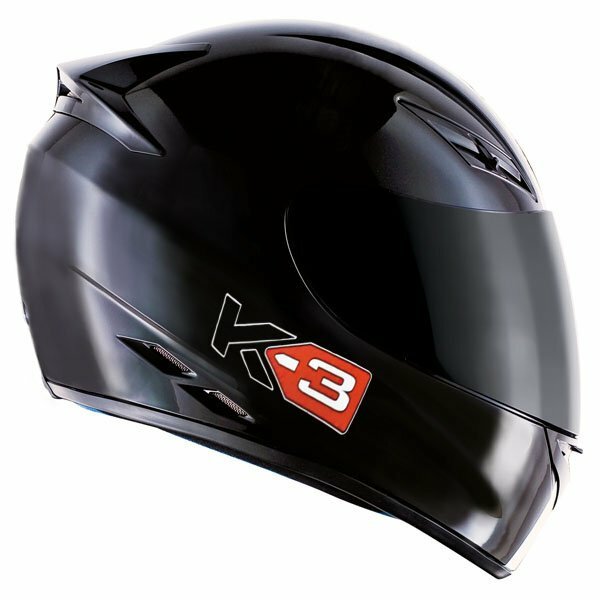 Overall, for the price, the helmet is fantastic, lightweight, quiet, comfortable and it looks great too!! Great service and a great product. A good fitting helmet, light and well made, looks good. I ordered a helmet for my grandson which arrived next day. He was delighted with the quality and service. Very good value for the price. Colour: Black gloss, so goes with anything I choose to wear. Feel: Great fit, very comfortable and feels very secure on the head. Safety: All relevant safety marks and it is adequately vented, so no steamy visor moments. All in all a great lid for the price! Never tried AGV but happy I did. Really comfortable compared, great value! One happy customer!! Looks badass and fits very well! I had Shoei helmets before and the size are about the same. I only have s small bike, but wanted to get a good quality helmet. |After trying cheaper helmets the minute I put this one on I realised what good quality was! Its comfortable, well made and looks great, better than the bike! Ha. I recommend! XQRS & ANTI-FOG - XQRS (Extra Quick Release System) with metal base plates. Visor can be removed in seconds without the need for tools. Visor is also anti-fog treatment.